What’s better than one kind of adventure? Two, of course! 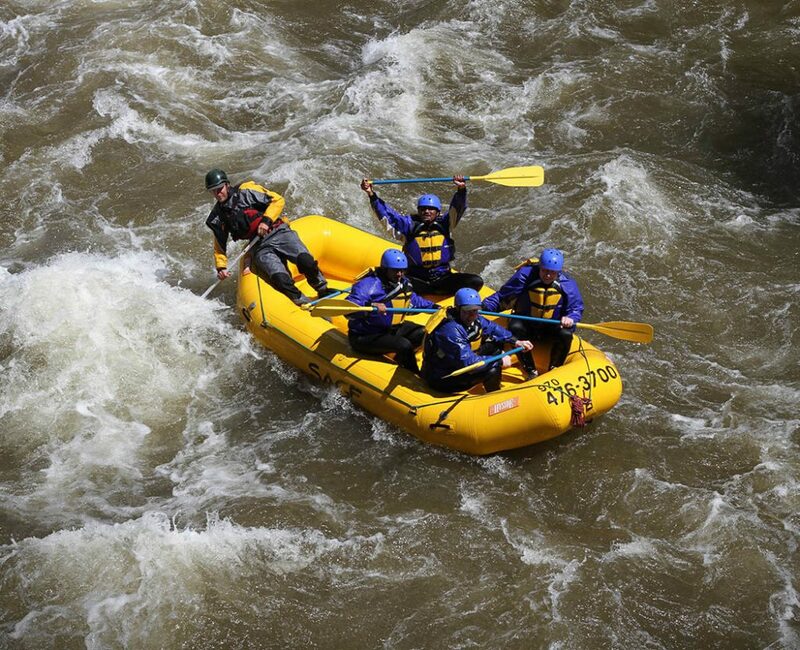 We’re now offering some awesome Colorado combo adventures. It’s a unique opportunity for combination side-by-side ATV and Snowmobile trips. It continues to be a bizarre winter in the Vail Valley, with unseasonably warm temperatures and low snowpack. But that doesn’t mean we’re not having fun around here! In fact, we’re having an absolute blast here at Sage. For our visitors in the Vail Valley and Beaver Creek areas, there’s no shortage of awesome things to do. We are still offering beautiful winter horseback rides. And we’ve now added something even more unique. 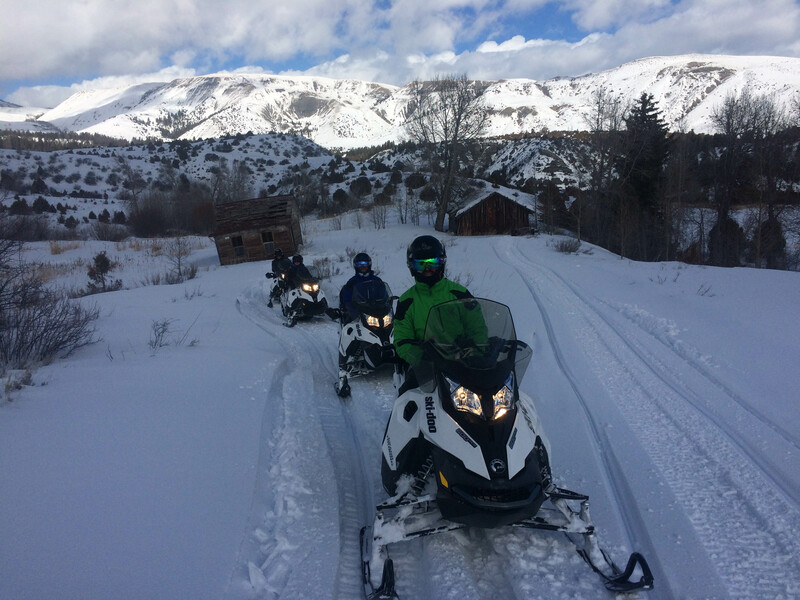 For a very limited time, we are offering side-by-side ATV and snowmobile trips! 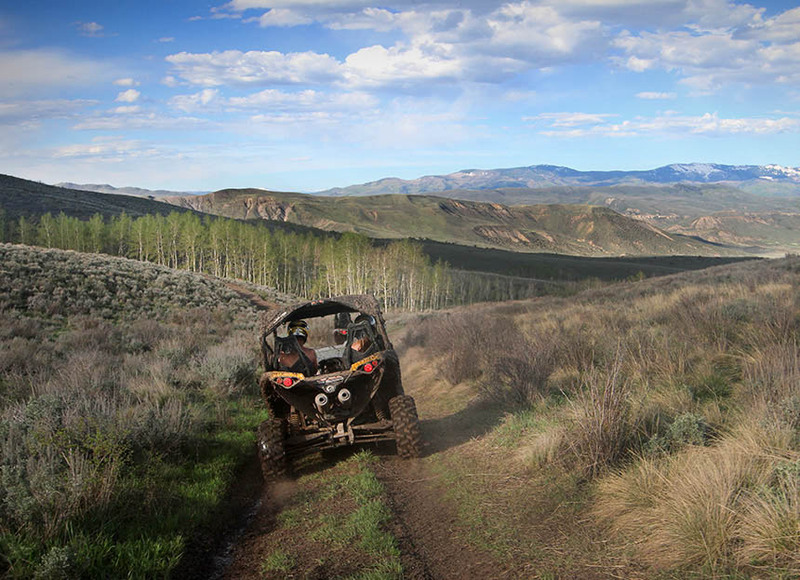 These adventures allow guests to explore this 6,000-acre private ranch with more than 100 miles of custom trails. That’s an area larger than Vail ski area. These trips take guests through big open meadows, old growth timber, stunning aspen groves, and jaw-dropping views over the 2,400-foot deep Eagle River Canyon. From up here we’ve got views of seven different mountain ranges. It’s simply a spectacular experience. Trips start at our base of operations, just a short ride from Vail or Beaver Creek, where we offer free hotel pickup. 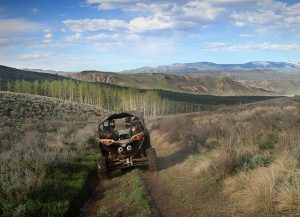 From the base, guests get to drive our high-end, side-by-side Maverick UTVs up the mountain and through one of the most historic ranches in the valley. 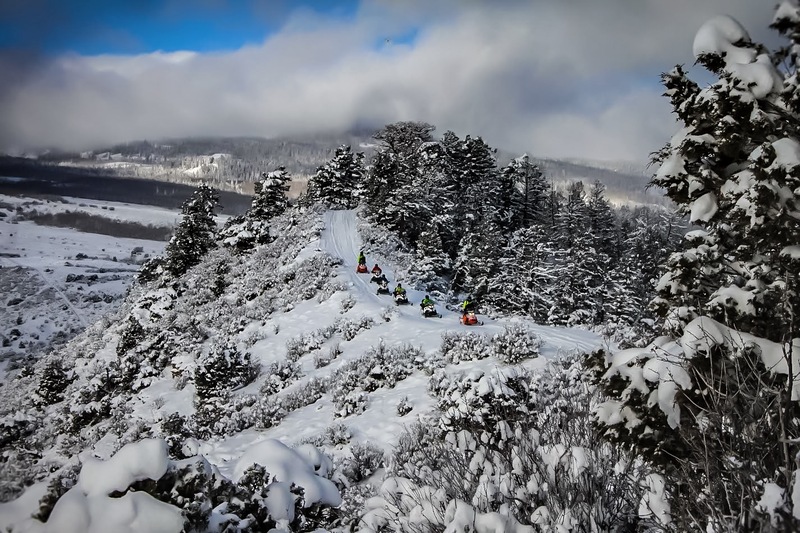 When the snow starts getting deep, guests then hop onto one of our new Ski-Doo snowmobiles and continue the tour through this magical winter wonderland. 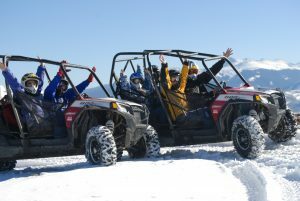 Our side-by-side UTV tours are regularly a higher cost than the snowmobile trips. But because we have to improvise this winter, we’re allowing guests to drive these $20,000 machines for the same price as a regular snowmobile tour! Not only is the ranch beautiful right now, but also it’s loaded with wildlife. Our guests are seeing deer and coyotes daily, including some rare predator/prey interactions. 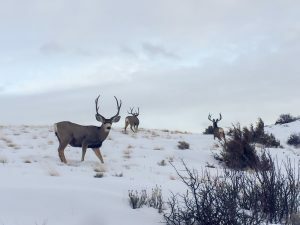 Because of the low snowpack this season, the deer herds have not needed to migrate further down the Vail valley floor. They’ve stayed here on the ranch, and that’s keeping coyotes and other wildlife around too. In fact, some of our guests have been lucky enough to see mountain lion tracks. These wildlife interactions have been a daily treat for our guests. While the weather certainly hasn’t been what we expected this season, it has been a memorable one. 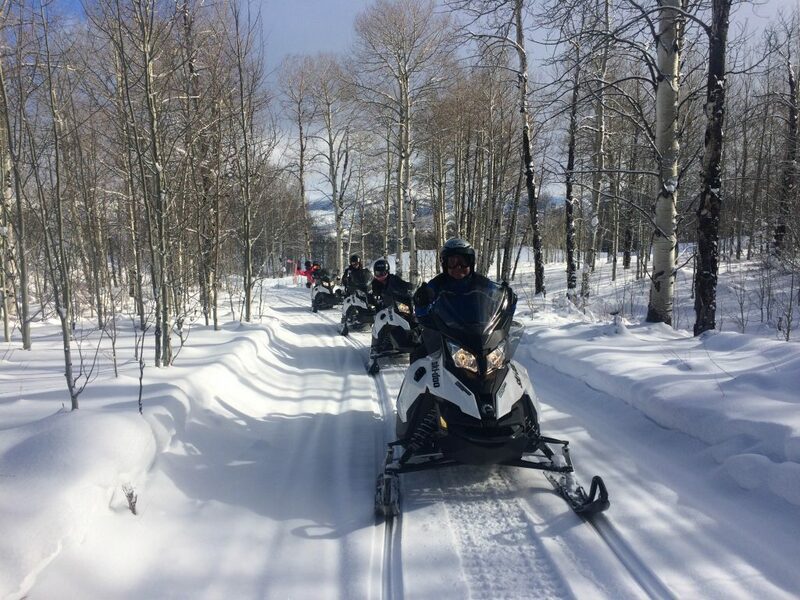 If you’re visiting the Vail or Beaver Creek area this winter, be sure to give us a call and join us on one of these Colorado backcountry adventures! For more information, check out our website at SageOutdoorAdventures.com. You can call us at 970-476-3700 or contact us online. Thanks for a Great Summer Season – See You on the Snow! Sage Outdoor Adventures is officially closed for the summer season. We’d like to give a shout out to all of our summer guests – thank you for joining us on a Colorado outdoor adventure this year! We enjoyed meeting each one of you and we look forward to seeing you again. The summer of 2017 was a memorable one. 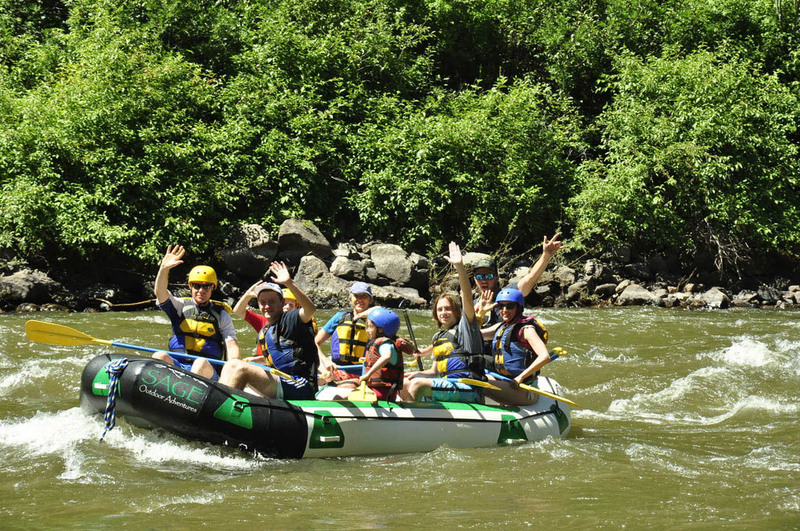 With huge snowpack coming into the spring, we enjoyed some incredible rafting trips. From right here in the Vail valley on Gore Creek and the Eagle River, down to the Colorado River and even the Arkansas, water conditions were ideal this year. All that spring moisture also meant that we had a beautiful wildflower season on the ranch near Vail. Our horseback riders and side-by-side ATV riders had the opportunity to enjoy huge fields of wildflowers and green conditions throughout most of the summer. 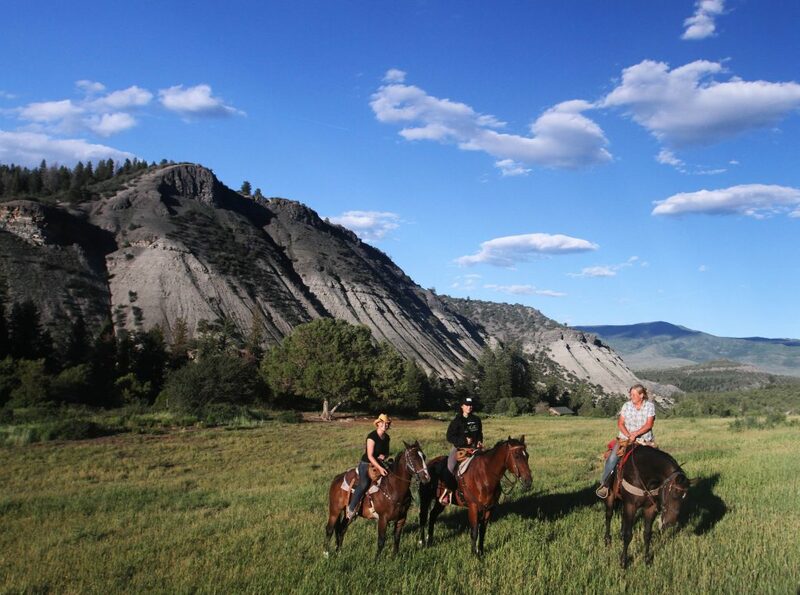 There’s no bad time to explore the ranch on horseback or ATV. But when there are flowers popping everywhere, it’s sure hard to beat. As the summer season is now closed, we are anxiously looking forward to snowfall! 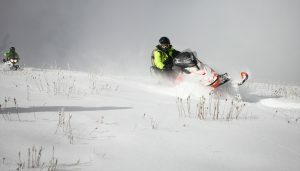 We will open our winter snowmobiling operation just in time for Thanksgiving. If you’re planning a holiday trip to Vail or Beaver Creek, be sure to give us a call. 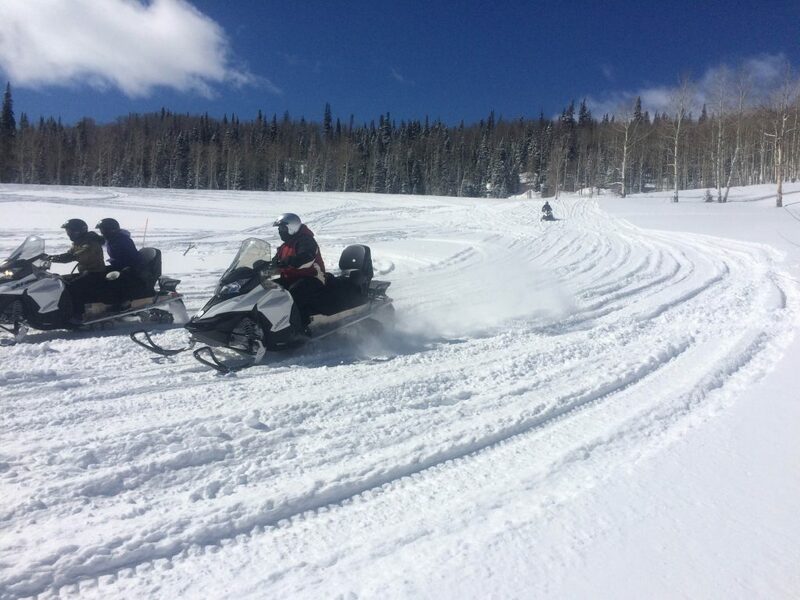 Snowmobile rides are a ton of fun for the entire family. This historic ranch is larger than Vail ski area! And the views of the valley are absolutely incredible. 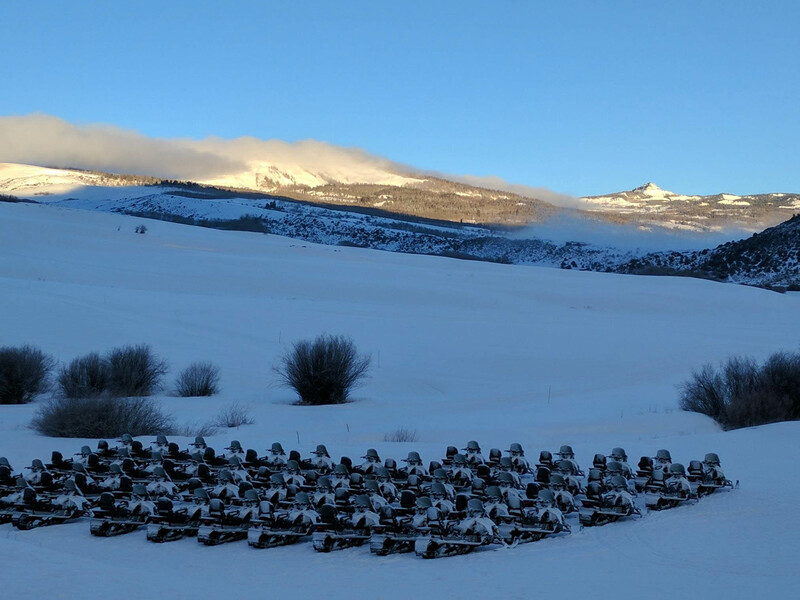 So take a few hours away from the bustle of the ski areas and enjoy a peaceful, backcountry ride through this winter wonderland. 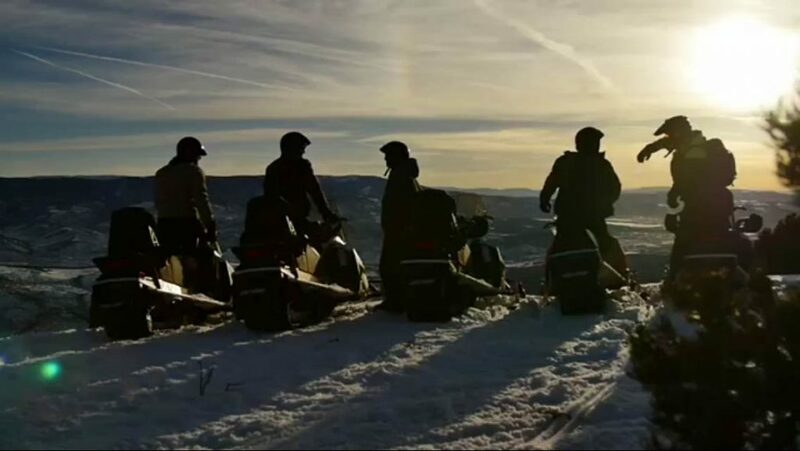 For more information on our snowmobile trips, please check out our snowmobiling page. For details or to reserve your trip, don’t hesitate to give us a call at 970-476-3700 or contact us online. See you on the snow soon!